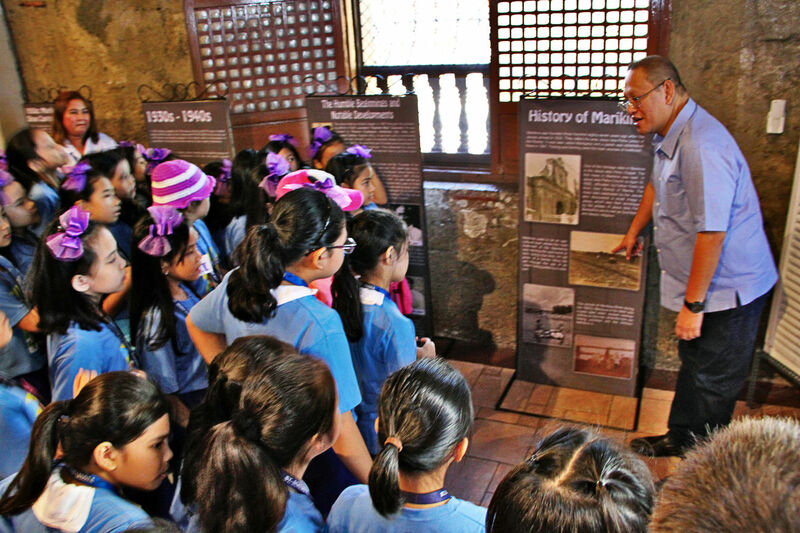 As part of Mayor Marcy Teodoro’s efforts to teach school children about Marikina’s shoe industry, Grade 3 students from St. Scholastica Academy toured the city’s Shoe Museum as well as shoe factories during their school’s Lakbay Aral tour. 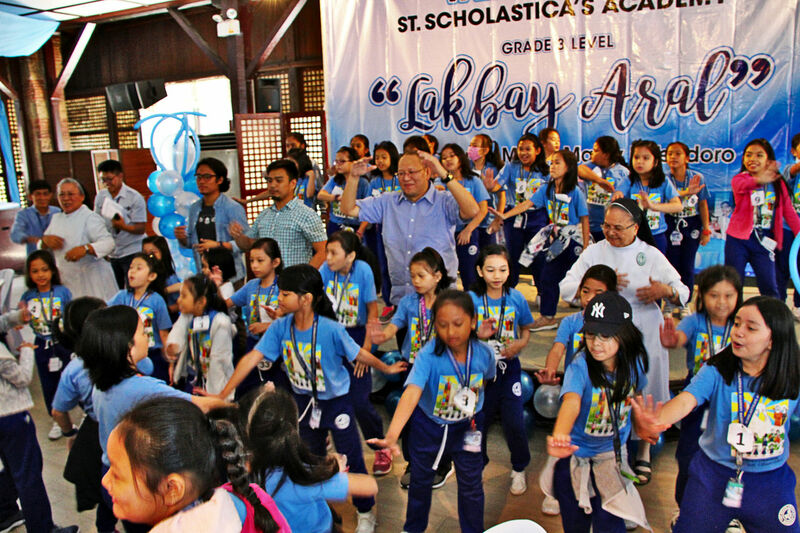 Mayor March was present during the small program held at the Kapitan Moy to start the Lakbay Aral tour, during which the students prepared songs and dances. The Mayor had fun interacting with the students and teachers. In a short talk, Mayor Marcy said St. Scholastica’s Lakbay Aral program, which began last year, should be held regularly so that school children would know about the history of Marikina’s shoe industry, gain some knowledge about how shoes are made and be introduced to the shoe industry even at a young age. The tour is also a way of teaching students social awareness and responsibility. Mayor Marcy then accompanied the students and teachers to the Shoe Museum, a short distance across the 200-year old Spanish era building where the program was held. At the museum, the students learned about the history of the shoe industry, and viewed the shoe collection of former First Lady Imelda Marcos, as well as pairs of shoes of local celebrities, government officials, and former mayors of Marikina. After touring the Shoe Museum, the students proceeded to the factories of Gibson Shoes and Lucban Hats to get a glimpse of how shoes and hats are made. During the visit, the children brought food to the shoe and hat makers. Mayor Marcy waived the P50 entrance fee at the Shoe Museum and the students of St. Scholastica decided to donate the amount to the museum to help pay for its maintenance and other expenses. The city government’s Tourism and Cultural Office and the Marikina Shoe Industry Development Office helped coordinate the tour.